Therefore our YHRI Online Education Website is provided to educators free of charge. 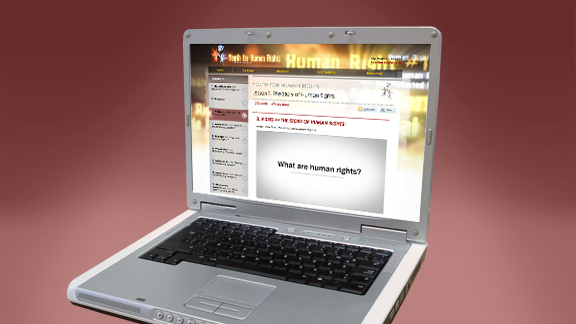 The Youth for Human Rights Online Education Website is designed for elementary, middle and high school students. It may be used as a full course or as a supplemental resource within another curriculum. The aim is to engage students in human rights topics and provide opportunities to put human rights principles into action and use. While the materials were designed for teachers, they are equally appropriate for youth group leaders—both religious and secular—as well as mentors and parents. 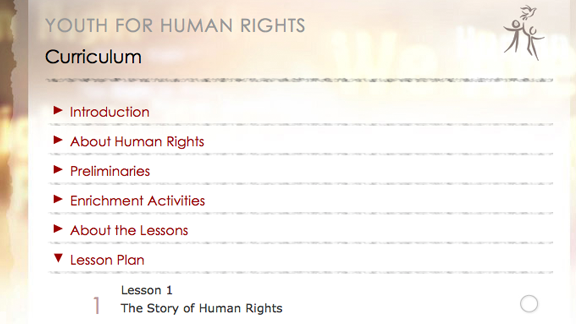 The Education Package includes a complete Educator’s Guide, the documentary film The Story of Human Rights, 30 award-winning public service announcements illustrating the 30 human rights, the UNITED music video and copies of two booklets, What Are Human Rights? and The Story of Human Rights. These materials are provided free of charge along with a full online training system for educators and teachers. As has been proven in many different settings, any caring person who works with youth can use these materials to raise awareness of human rights. Create your online classroom today!